The realm of phone psychics is a deep world of intelligent, successful and curious women who love to talk, but often I have found them to be the most insightful friends and teachers I have had the pleasure to engage with. When we establish a relationship with a client we begin a mutual spiritual journey and an experience in trust. The professional relationship I have with my clients is not based on naiveté or gullibility, as it is sometimes claimed in so-called psychic industry exposés by the media. 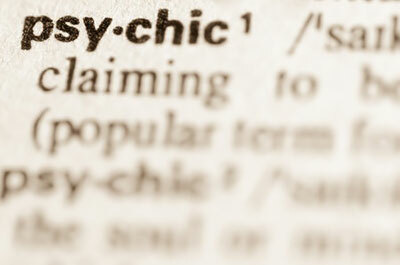 My clients are typically astute internet users who have thoroughly researched and studied the online psychic market. They know the industry and they know their psychics well, all across the Internet. They are certainly not naïve, and definitely not the kind of people who are easily taken advantage of. It always perplexes me to hear about skeptics making us seem so predatory, when the clients are the ones who are experts at finding and selecting us. They love making use of our services, because to them it is like the experience of a spa, tea with a best friend, or an alternative to a vacation they cannot have because they cannot take the time from work. Instead of shopping for more material things, these educated, well-informed people simply wish to discuss their relationships, work goals, or spiritual growth. So, we continue to be questioned by some writers, filmmakers, testers, scammers, maligners, and well-meaning skeptics who don’t understand our beliefs, abilities or the work we do. Every industry is open to scrutiny and I mostly welcome all arguments and questions. As professional psychics most of us are up for the debate, and when someone asks a nonsensical question we can always give them an interesting answer.